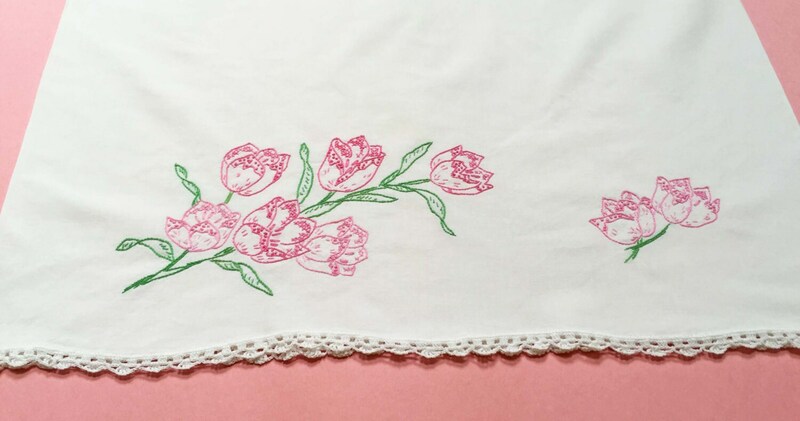 This is a sweet single, vintage, standard size pillowcase with hand embroidery. 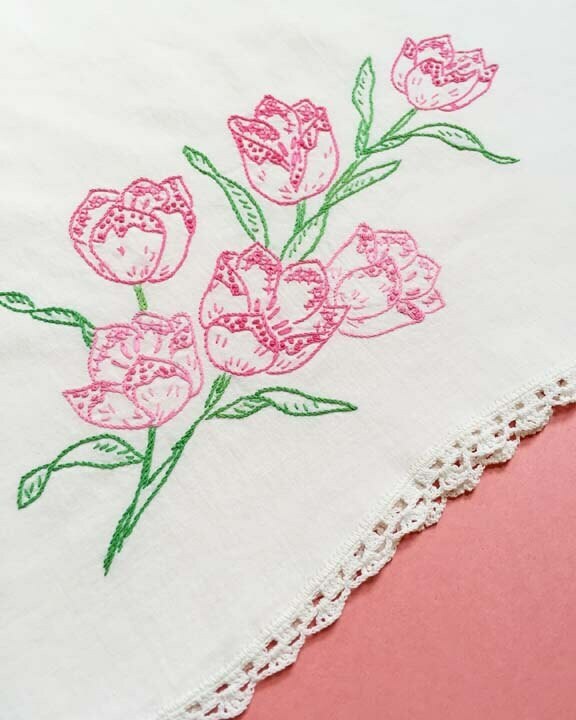 It features pink and green hand embroidered tulips and beautiful hand crocheted white trim along the edge. It would be darling in a little girls room. 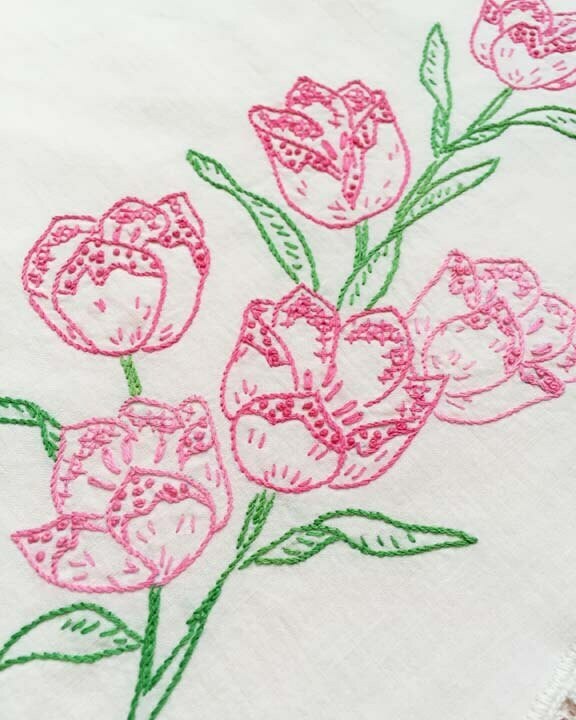 A very soft cotton that has aged beautifully. 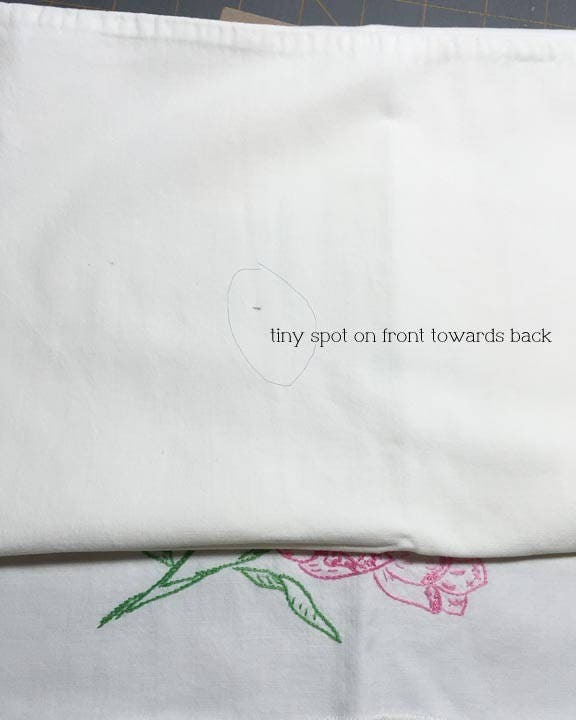 There is one very small dark dot on the front near the back edge of the pillowcase. 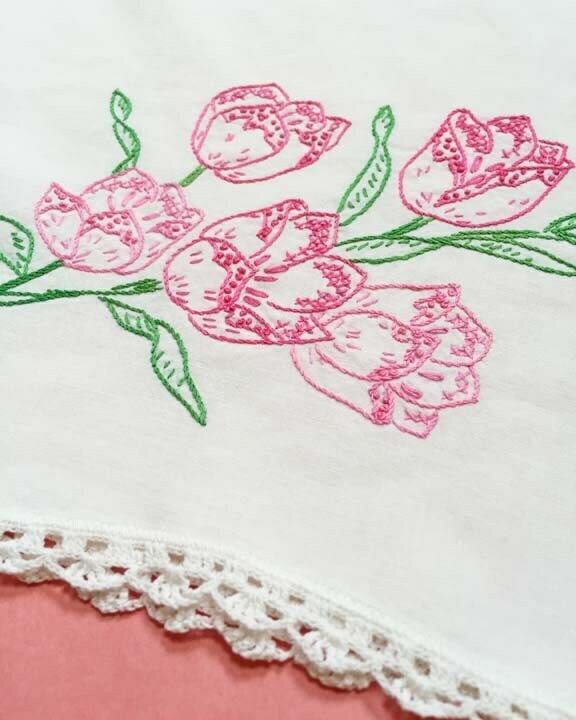 Your eye will go right towards the gorgeous embroidery. It's washed and pressed and ready to ship. I combine shipping. I will refund any overage over $1. I’ve done my very best to call out if there are any stains/issues, but they are previously used in most cases. The stains, if any, overall are very light.